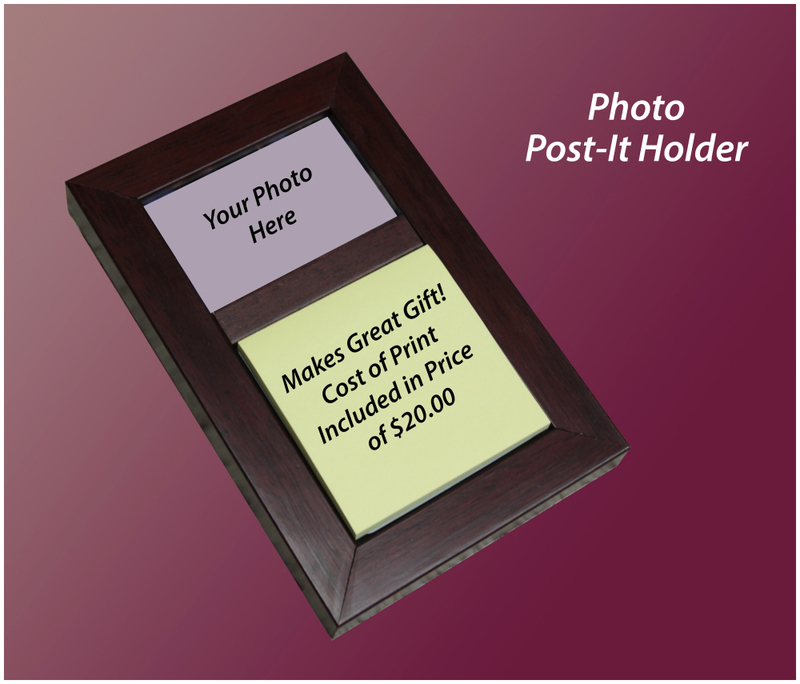 These Post-It holders are 4 5/8" x 7 1/8" in size and carry a 2"x3" photo of your choice. They are made of real wood moulding and come with reflection control glass and lift feet to elevate the top. These holders can be used either vertically or horizontally. just a few days to be completed.